I should have shared this link much sooner - it is our GPS tracking throughout the trip. Cool to see where we actually went! The winds at Glenlohane whistled throughout the night. We knew it was pretty bad weather and Desmond confirmed it in the morning. Yellow flag warnings as you go further north. We were not going to be deterred yet, so after a huge Irish breakfast with eggs, grapefruit, bread, and sausage, we were out the door (but not before Shannon spent some time with Desmond and the horses!). 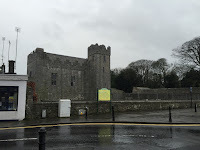 The weather was poor but passable - we made stops in Killarney, Newcastle West, and Limerick. Unfortunately there just wasn't enough time to get to the Cliffs of Moher...the weather would have been too much and we just didn't have enough time to get there to see it. 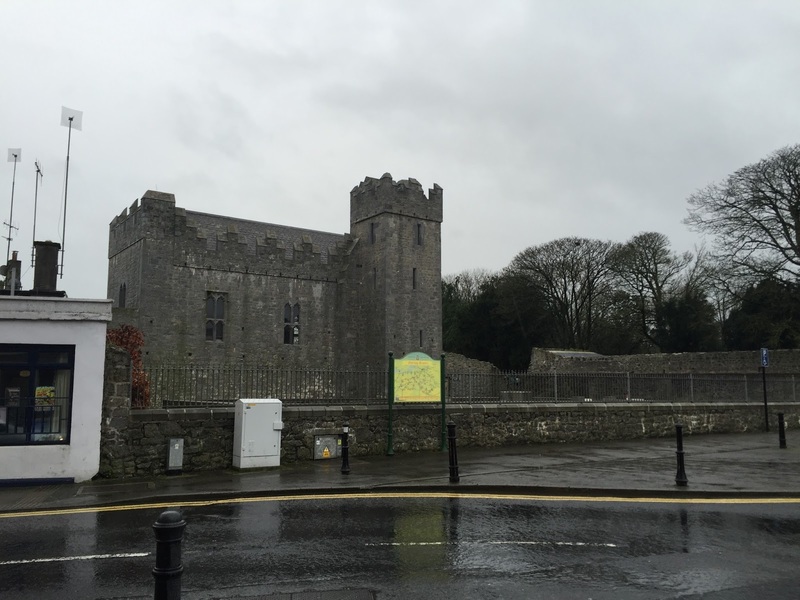 We stopped and took a few pics along the way: An Augustinian Abbey, the Castle in Newcastle West, Bunratty Castle, and King John's Castle. Much to our chagrin, most were closed or required prior arrangements in advance to visit which we found puzzling. Bunratty Castle wouldn't admit us at the end of the admission time and King John's Castle was closed for the entire month due to a special engagement - even the lady we talked to joked about being 'cheeky'! The final stop of the day was our next AirBnb stay with Caroline just outside of Claregalway. By this time the wind and rain were howling with pretty good intensity - part of the road getting out of Claregalway was flooded near the castle and down to one lane. We decided to head out and find the place first before getting food. And it was an adventure again! We passed by it at least once but doubled back and found it in the dark. I almost went through the door trying to shoulder it open, but once inside found our room to be very pleasant. Our hosts warned us that due to the wind we might lose power and had a flashlight prepared just in case. We grabbed a quick bite to eat in town at The Abbey - I love trying these local establishments for the food and people watching. No traditional fish and chips on this menu - steak and lamb! We opted for smaller appetizer plates and some wine...not a bad way to end the long day. If only you'd had that GPS tracking turned on for the last ten years, what an interesting spiderweb you'd have! I try to use it whenever I'm out and about overseas...had it on while hiking in Switz this last year, was great to see the trail!